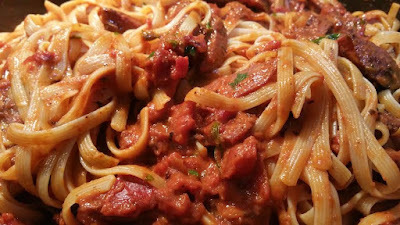 This is my 'signature' creamy chorizo pasta sauce that I make about once a week for my family, and the leftovers are even tastier for lunch/dinner the next day. You can use any type of good quality Chorizo, but I only use the Barossa Fine Foods brand which I get from the Costco deli section, as I find it the tastiest with the right amount of spiciness. 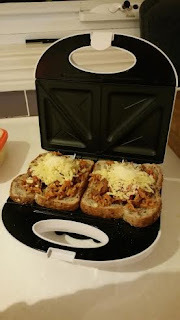 It's probably on a medium scale for spiciness which gives an added depth to the flavours but not unbearable that you're sipping water in between, however it would be way too spicey for the kids. 1. 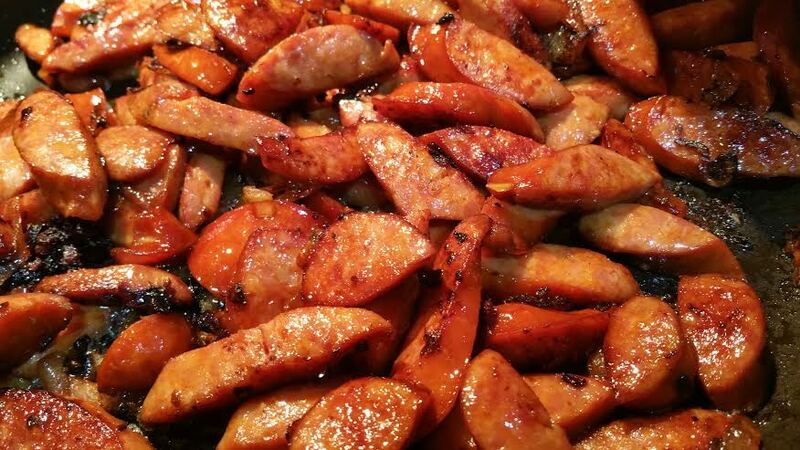 In a medium to large frying pan, heat up the rice bran oil on high heat. 2. Add the minced garlic and fry till browned. 3. Add the red onion and fry till browned/caramelised. 4. 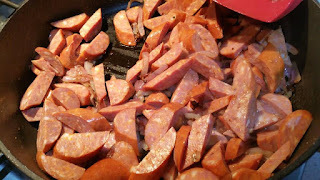 Add the chorizo and fry till browned/crispy and slightly shrunken in size. 5. 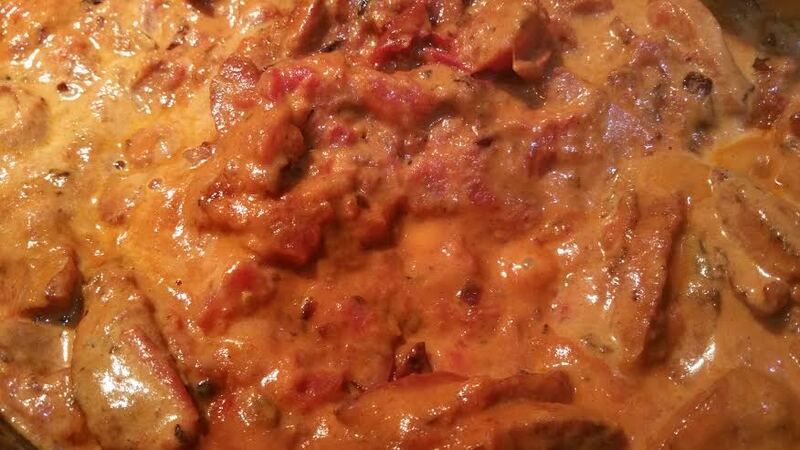 Add the diced tomatoes and sugar, reduce to a low heat and simmer for 10 minutes. 6. Add the thickened cream and keen simmering for another 10 minutes. 7. Add the oregano, parsley and Johnny's seasoning and simmer on low until ready to serve. Note 1: I find that the Barossa chorizo has enough saltiness/spiciness so I don't need to season with salt and pepper. 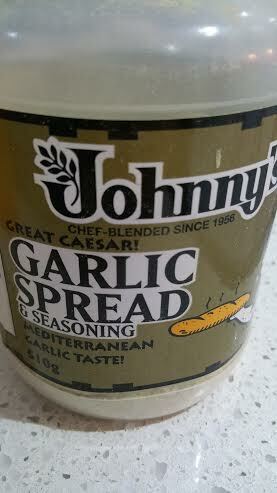 Note 2: Johnny's Garlic Spread and Seasoning is one of my favourite finds at Costco. I don't actually like it as a garlic bread spread (I prefer real garlic and butter), but it gives that something special when seasoning my pasta sauces and mashed potato.